An interesting feature story by GMA 7’s Michael Fajatin (Pangalan ng ilang kalsada, halaw sa buhay at mga akda ni Rizal) roused my curiosity and made me think about the history behind the names of streets in Manila. It took me quite some time before I stopped and gave up my online research about “Padre Noval” – the name of the street where I stayed for four years during my college days at UST. Around the centuries-old campus are very interesting names of streets. During that time, I didn’t bother to trace the roots of the street names but they can easily be associated with the life and works of our national hero, Dr. Jose P. Rizal. Aside from four streets (plus dozens of eateries and dorms that surround the campus España, Dapitan, P. Noval and A. H. Lacson), I can clearly remember unique Sampaloc areas such as Laong Laan where the Victory Liner bus drops me off, the 24-hour McDo at P. Campa, the covered court at Felix Huertas, the Bambang area where we buy medical stuff, one-ways and confusing routes of S. H. Loyola, and the streets where you get caught by the red light such as Maceda and Blumentritt. Streets have become monumental. In fact, some have become part of pop culture such as Wall Street in New York, Harry Potter’s Privet Drive, and the scary Elm Street. A popular musical Avenue Q is a spin-off of a household name, Sesame Street. Locally, we can add Balete Drive in the list. Street names truly have an impact. In my opinion, politicians should not change the names of streets especially those with historical significance. People from the academe, on the other hand, should educate the young about the relevance of the street names so that kids won’t remain clueless. 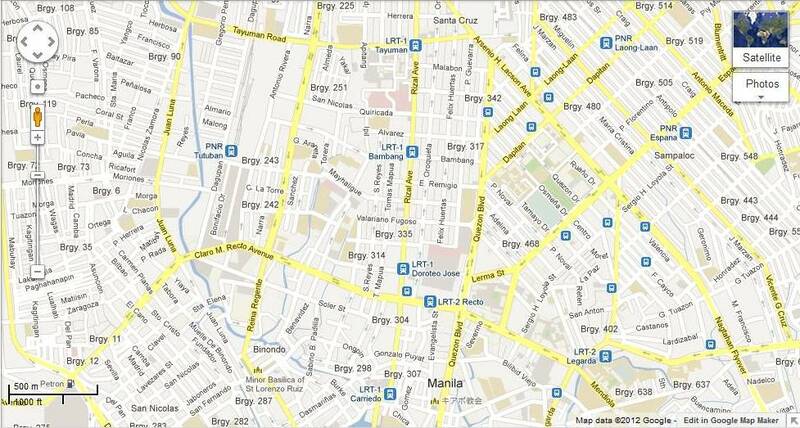 By the way, the former name of P. Noval Street is Quezon (according to an article from the Phil. Daily Inquirer). If you can tell me anything about this priest, I would highly appreciate it. In my bucket list: Have a street named after me. parang si Padre Noval ay one of the priest who held high position in UST during the Spanish era..